We show you how to make your very own Christmas jumper using just a few bits and bobs from your craft cupboard. It's great if you're pushed for time! Give an old unloved sweater a new lease of life with one of our two easy-to-make festive designs. 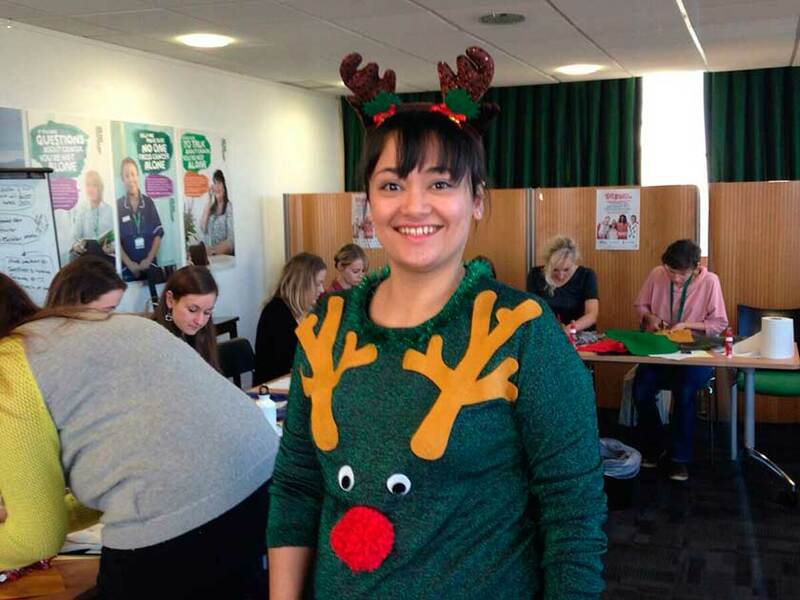 Home Editor Emily Dawe and Knitting Assistant Freddie Patmore had a go themselves and came up with two Christmas jumper design ideas for you to try. Rudolf the red-nosed reindeer and an adorable polar bear. 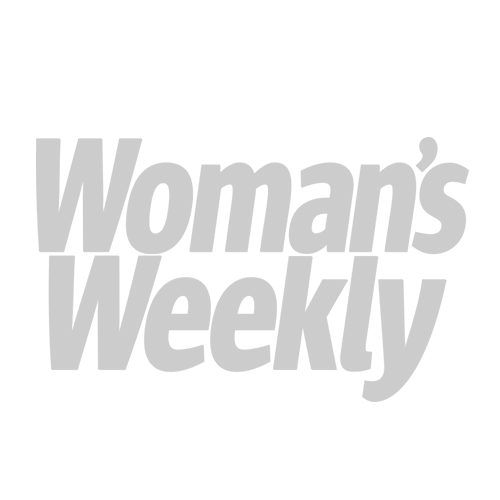 Read on to find out how to make yours. 1. Draw out the shape of a polar bear head filling most on the sheet of A4 card, and cut out to form a template. 2. 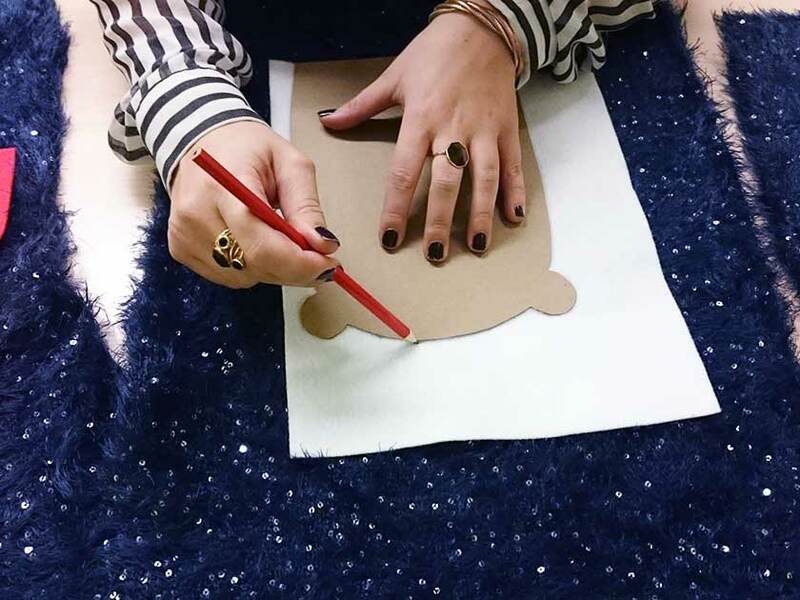 Draw around the template on your sheet of white felt and cut out to form the bear head. 3. Make a pompom using black yarn for the nose. 4. Cut two 1cm circles in black felt for the eyes. Next, cut out a 2cm circle in beige and cut it in half to form two semi-circles for the inner-ear pieces. 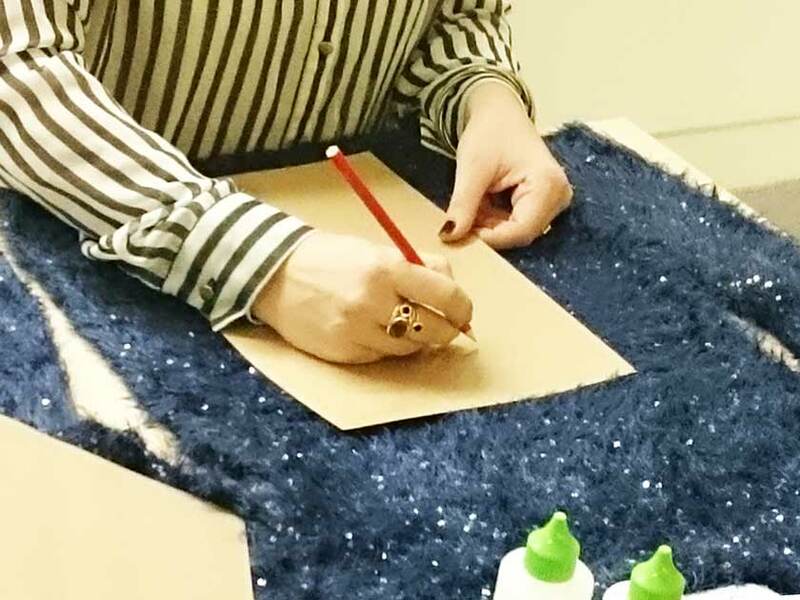 If desired, cut up your remaining white felt into small circles for the ‘snow’. 5. 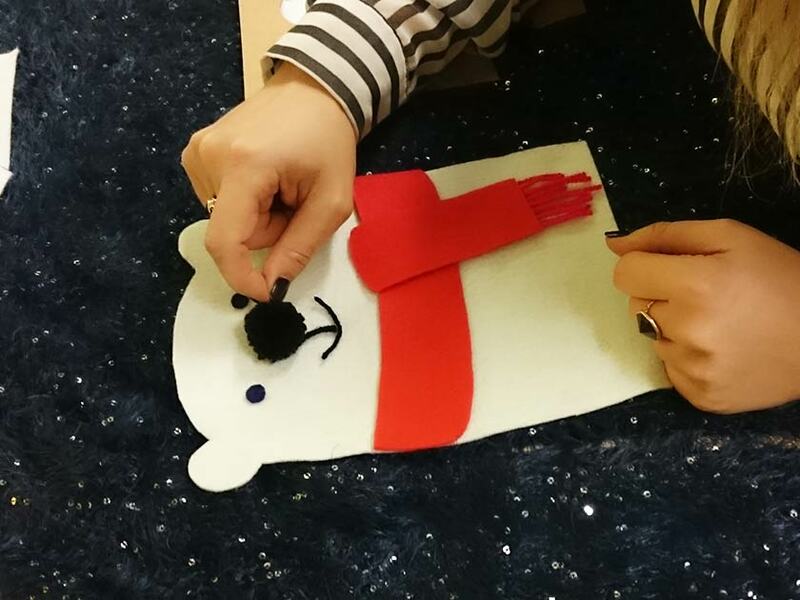 Cut a piece of red felt as wide as polar bear’s head, and a shorter length to lie on top for the scarf – cut a few short legths of red yarn for the fringe. 5. 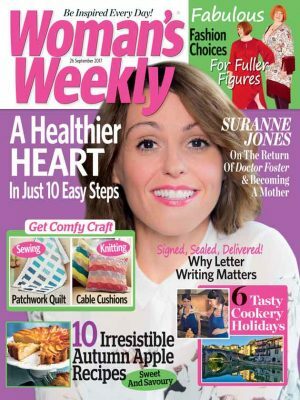 Arrange your felt pieces on the jumper and cut two short lengths of black yarn to form the facial features using our picture as a guide. Glue in place. 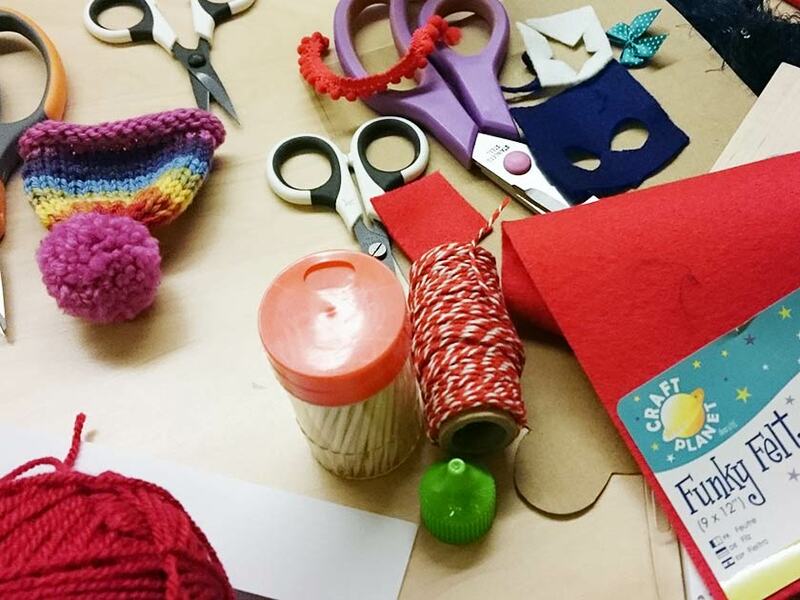 Tip: Use plenty of glue for the thicker pieces and the pompom to make sure they hold the weight. 6. 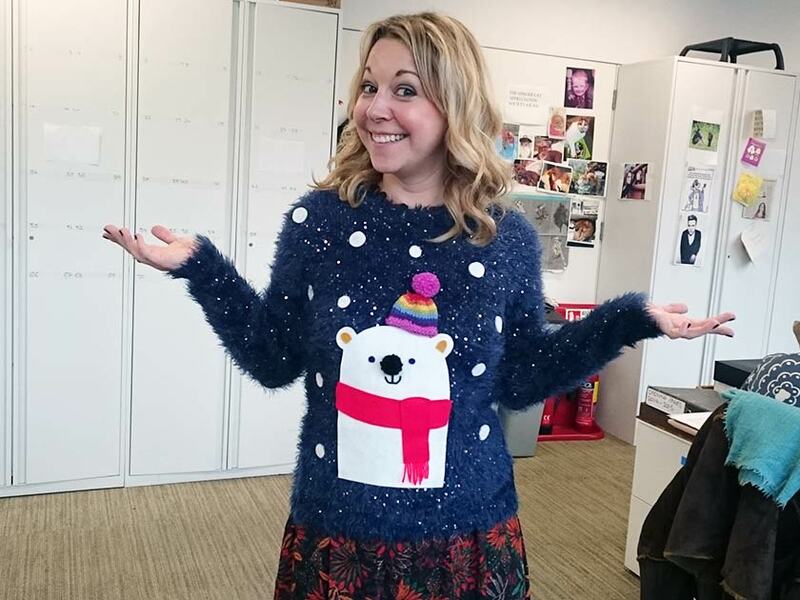 Lay flat and leave to dry overnight before wearing and hand-wash for future use of your brand new Christmas jumper! 1. 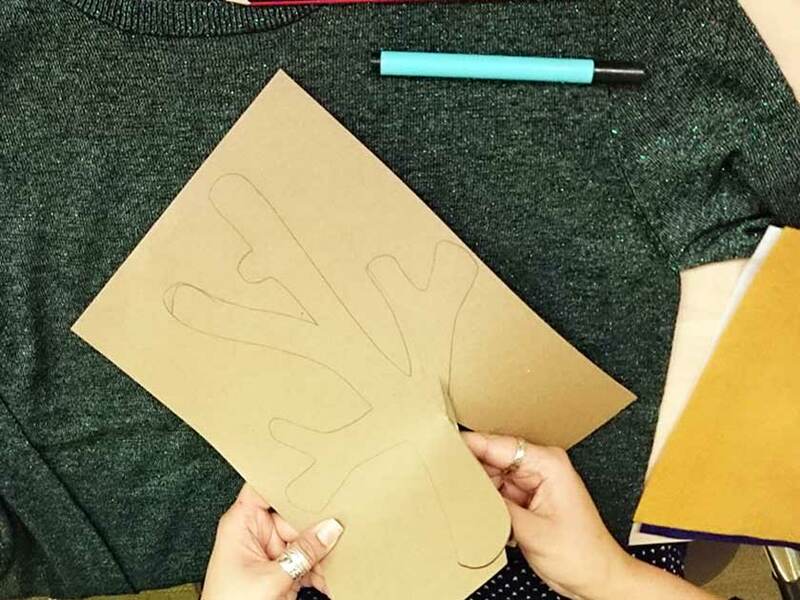 Draw out the shape of an antler and cut it out to make a template. 2. 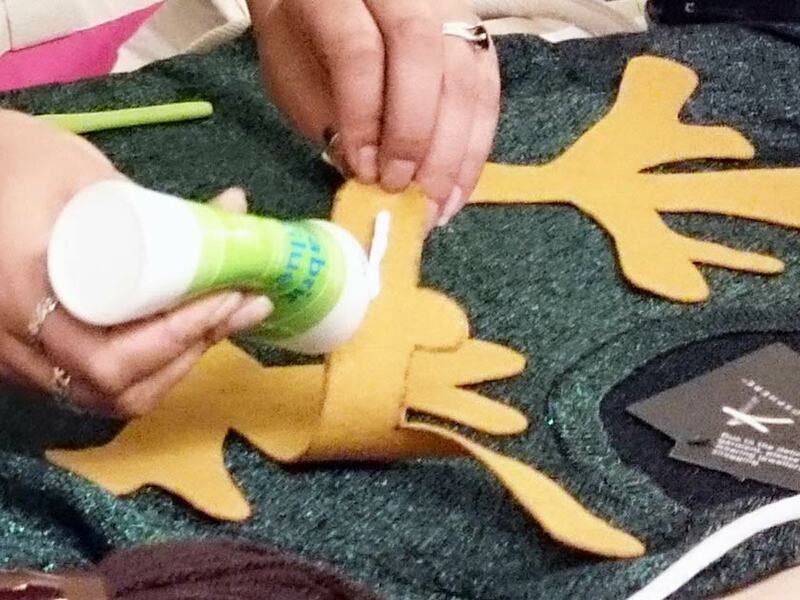 Draw around the template on a piece of brown felt and cut out the antler. For the second one, flip the template over so that you create a reverse image of the first antler. 3. 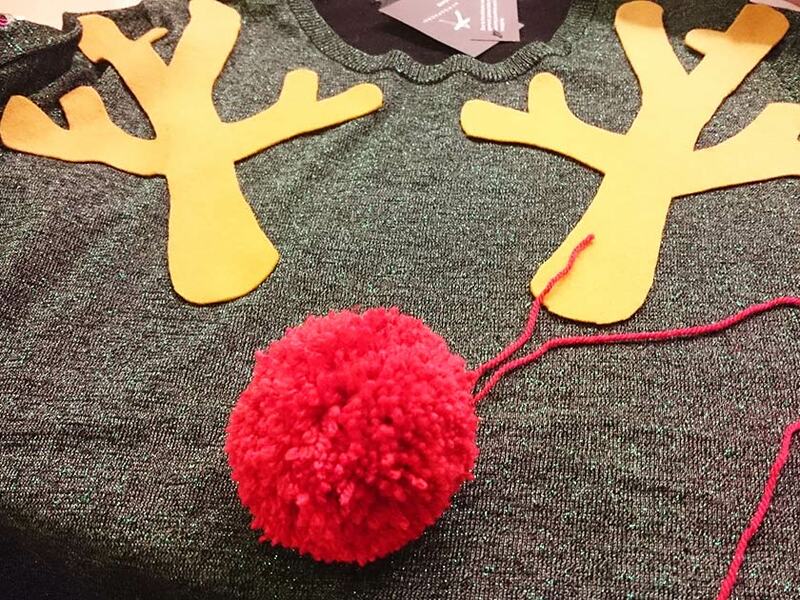 Make a pompom in red yarn for the nose. 4. Cut two 3cm circles of white felt and two 2cm circles of black felt for the eyes. Arrange each white circle with a black circle on top for the eyes. If you prefer, black buttons are a lovely alternative for pupils. 5. Arrange the felt pieces and the pom pom. Stitch the pom pom in place using a darning needle and glue the felt pieces in place. 6. Lay flat and leave to dry overnight before putting it on. Tip: Fabric glue is quite strong but hand washing is advised to make sure your Christmas jumper lasts as long as possible.